Customer retention is not only a cost-effective and profitable strategy, but for today’s contractor, it’s an absolute must. This is especially true when you remember that 80% of your sales come from 20% of your customers and clients. Contractor 20/20 knows the value of retaining a loyal customer, and our expertise can help you establish a retention program that will pay dividends for years to come. Using tools such as internet marketing, direct mail, TV, radio, and referral reward programs, Mike Morosi and his team will help you retain your customers. In the past, your highly satisfied customers would save your business card or mark your page in the phone book. Now, with the convenience of the internet, a majority of people search for services and information online, where you will be judged by your website and reviews. As a result, customer loyalty has disappeared. If potential repeat customers search for a local plumbing, HVAC, or electrical company and your name doesn’t appear on the first or second page then you’ve already lost them—they’re calling another company. Unless you make the effort to market to your existing customer base, you will never maintain any consistent loyalty, and this will cost you future sales. However, there is a solution. Contractor 20/20 has the customer retention program that will ensure your success. Mike Morosi and his team of experts can show you how to increase your referrals and sales with marketing programs that are tested and have been proven to work with other contractors. Using a combination of direct mail, happy calls (calls to see if your customers are happy with the work), and specialty marketing products, we’ll make sure your customers never forget your name or your number and are never lost to a competitor’s coupon. Plus, we set the program up and manage it for you so it’s one less thing you need to worry about. 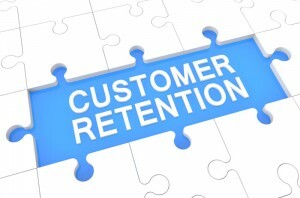 The phrase “customer retention” refers to the actions a company takes to reduce customer defection. The goal of any customer retention program is to help a company retain their loyal customers, usually through brand loyalty initiatives. Customer lifetime value – By measuring the value (or net profit) each customer individually brings to your store, you can assess your store’s current health and project its future success. Repeat customer rate – This rate measures customer loyalty improvement over time, revealing what percentage of your customer base returns over time. Net promoter score – This score measures how likely customers are to recommend your business or service to their friends and family. To measure customer retention and key metrics, your best option, as a business, is to hire an outside, experienced professional. Believe it or not, the average business will lose around 20% of its customer base annually. This happens because most businesses fail to properly attend to their customer relationships. The cost of losing such business is absolutely staggering. Reduce Attrition – Every business will lose some customers, but it takes effort to retain customers after having built up that initial base. Do not lose a customer’s interest just because you successfully sold them a product or service. Give them a reason to return for more. Keep Selling – Playing off the previous item in this list, keep selling at all times. Thank each customer for their purchase and remind them why you were the right choice for their business. Customer Service – The biggest reason why most customers will do business with a specific organization is because of their customer service. People enjoy a friendly face, a little banter, and service they can rely on. Their money is worth something, and most customers know this already. Call Contractor 20/20 today and we’ll get you the results you need!